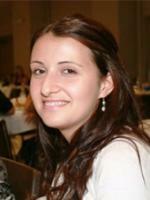 Nikolina Lazic became Media Assistant at the Center for Media and Democracy in August 2009. Nikolina earned her bachelor's degree in Chemistry from the University of Milwaukee in Wisconsin. Nikolina Lazic is CMD's Media Assistant. She earned a bachelor's degree in Chemistry from the University of Milwaukee in Wisconsin.